If you’re an adventurous soul seeking some thrill to experience, hiking the Bible Rock is a great experience! 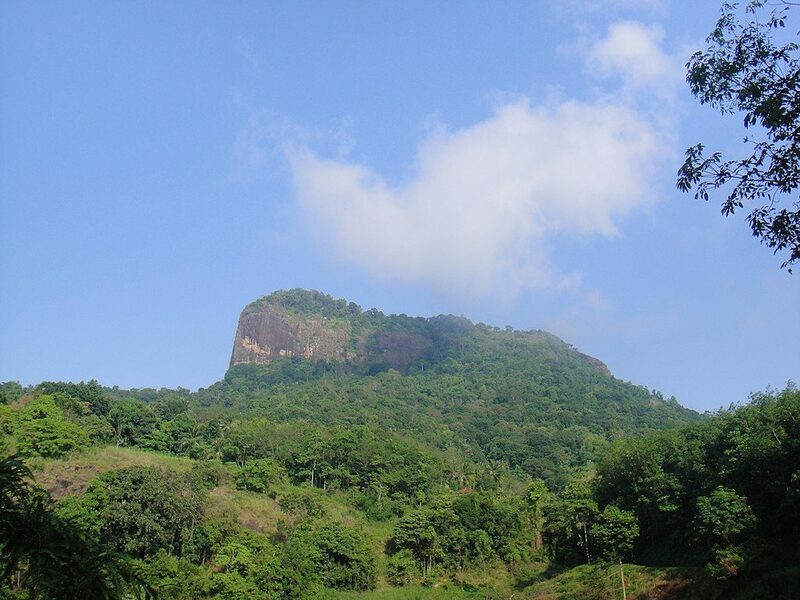 The Bathalegala rock was dubbed the ‘Bible Rock’ by the British and provokes most who pass this majestic sight. Here’s a little more information on this rock! You’ll find the Bible rock near the town of Aranayake, in the district of Kegalle. Roughly a 1 hour and 30-minute ride from Earl’s Regent Kandy, as you travel through the Kadugannawa pass, the rock makes a sudden appearance. The rock is also said to resemble Sigiriya, located north of the rock. The rock is 798 metres high and 2618 metres above sea level. If you’re looking to get to the rock from a Kandy hotel, it’s best you make arrangements early so that you can get started as early as possible. The hike is said to be one of the best hiking experiences in Sri Lanka, so don’t miss out. The mountains are surrounded by lush greenery and there’s no proper hiking trail, which makes it even more thrilling and adventurous! Before the hike, you can stop at any of the local villages close by for an authentic Sri Lankan breakfast or a small bite beforehand! It’s best you take a bottle of water with you for the hike. Once you reach the top, you can even camp there. Once you’re done with the hike, the village at the base has a natural pool for you to refresh yourself after. Previous Post Best Historic Sites in Bahrain – Remnants of a rewarding history! Next Post Nightlife in Kunming – Exciting places to be!